Do you like presents? Of course you do! And what's better then a present? How about 25? Well that's exactly what AndroidPIT has planed for you! 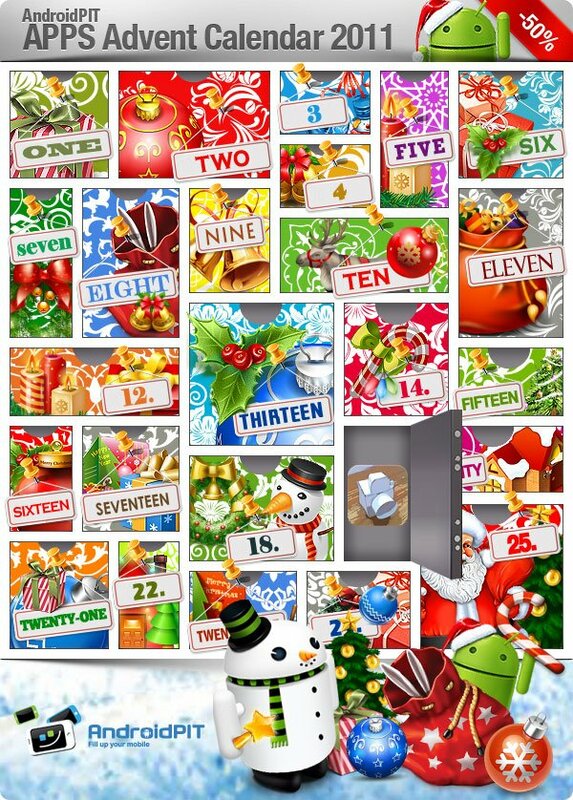 Throughout December, AndroidPIT will bring you it's Android App Advent Calendar. How does it work, you ask? Each day will open a new door and whatever app is hidding behind our festive countdown will be available at 50% off the normal price! Each day just click on the calendar to automatically receive the discount. Real time cartoon and painting effects displayed on your camera feed! See the world through a new, original, stylish and captivating lens, have a wonder in your own home and discover how cool is now your world in cartoon! This is the ultimate collection of cartoon/sketch/comic book/half tone/noir/neon and many other effects painted directly in your camera, no more boring post-effects, it's all real time, you simply won't stop wandering, wherever you are, having a look at things and cartoon-ize them! To take advantage of our Advent App Discount, just click the Advent Calendar!